DJ Caruso recently spoke with IESB about his upcoming film "Eagle Eye" and was asked if he had ever considered doing a comic book film. 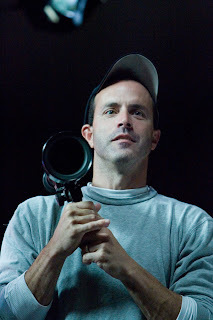 Caruso was forthcoming in his comments and revealed that he is very interested in a certain MARVEL hero that currently has a script and has a scheduled release date of 2010. That's right folks, DJ Caruso is interested in the Norse god, Thor! Caruso however does have a major reservation about the film and in lies inside of the script and just how MARVEL intends to tell the Thor story. 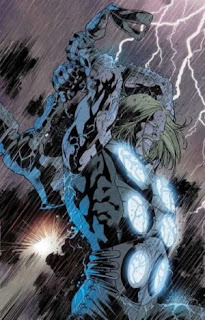 DJ said, "I know that they [Marvel] have a script, but there's something, there's a fear I have about Thor and depending on what Thor story you want to tell, whether you want to bring Thor into the modern world or if you want to go back to Asgard and get the history of what's happening between him and his brother and dad. That's one I've always been interested in and it also would be, it would be a monumental task so, I could definitely see myself getting myself into that." I for one agree with Caruso that Thor needs to be an origin story in Asgard before he comes to our planet. Let that be in the Avengers movie! Caruso also said that he had talked with MARVEL Studios, "I have had some talks with Marvel about it but I have not seen a screenplay. It could be something that I am interested in." What's the deal MARVEL? Let DJ Caruso read the script! Have you not seen Disturbia? So DJ Caruso is definately actively persuing the job, but will MARVEL bite? I think that Caruso is a good choice for the film. 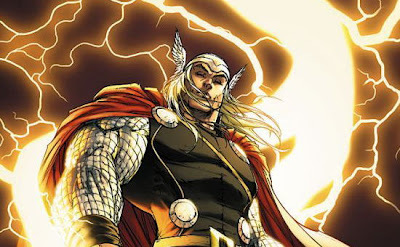 What is the most important aspect to Thor however, is who they cast! A lesser known actor is not going to work for the role, they need a big name. Thor unlike Spider-Man, Wolverine, Super Man and Batman does not have as big of a fan base and may be harder to draw in a crowd for a Lord of the Rings-esque superhero. Kevin McKidd was at one time rumored for the role and though he is a great actor, one that could actually pull it off, most people would say, "who is he?" ultimately dwindling the hype and anticipation. What are your tthoughts on Caruso wanting to direct Thor? Is this a good direction for MARVEL to take? Who would be your top pick for directing Thor? And don't say Guillermo del Toro! What does this mean for Y: The Last Man?